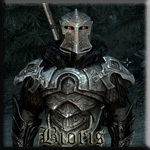 The-Elder-Scrolls.fr / Forum Aide Skyrim • Consulter le sujet - Le prochain The Elder Scrolls : ARGONIA - TES 6 VI - 2016 ! Sujet du message: Le prochain The Elder Scrolls : ARGONIA - TES 6 VI - 2016 ! L'annonce serait "officielle", le prochain The Elder Scrolls pour 2016 !